AIDA64 is an award-winning streamlined Windows diagnostic and benchmarking software for home users. It provides a wide range of features to assist in overclocking, hardware error diagnosis, stress testing, and sensor monitoring. It has unique capabilities to assess the performance of the processor, system memory, and disk drives. AIDA64 has an accurate hardware detection capabilities, to provide detailed information on the computer internals without the need to open it up. The hardware detection module is strengthened by an exhaustive hardware database holding over 195,000 entries. Moreover, AIDA64 supports over 250 various sensor devices to measure temperatures, voltages, fan speeds, and power draw. Measured values can be displayed on System Tray icons, OSD panel, Desktop Gadget, Logitech G15/G19 Gaming Keyboard LCD, and Razer SwitchBlade LCD. 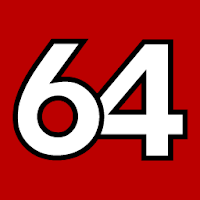 AIDA64 Extreme Edition - for Home users. AIDA64 Engineer Edition - for IT technicians. AIDA64 Network Audit Edition - for businesses that supports IT decision-making with essential statistics. AIDA64 Business Edition - Windows network management solution with remote features. Disclaimer: Direct downloads for the lastest version of AIDA64 5.99.4900 are provided by the official software's author, we can't guarantee safety, availability or download speed. Moreover, we don't and we won't provide any pirated/illegal versions or tools. We recommend you to avoid it as these methods can harm your device. If you like the software, buy it to support the developers. (We provide software discounts for many worldwide brands).